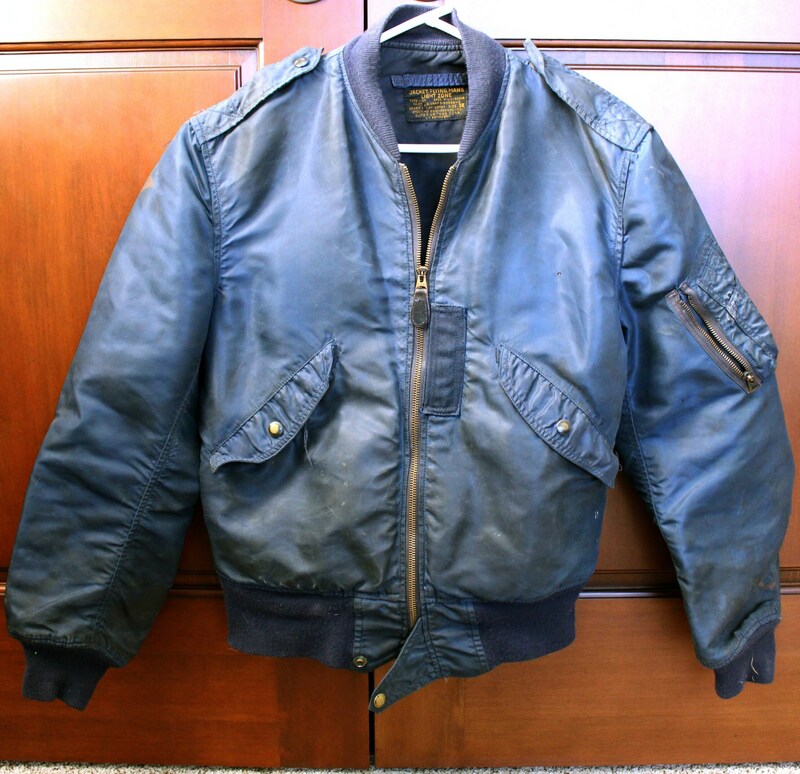 This is a rare vintage original USAF Air Force BLUE military light flying jacket in a size 38. 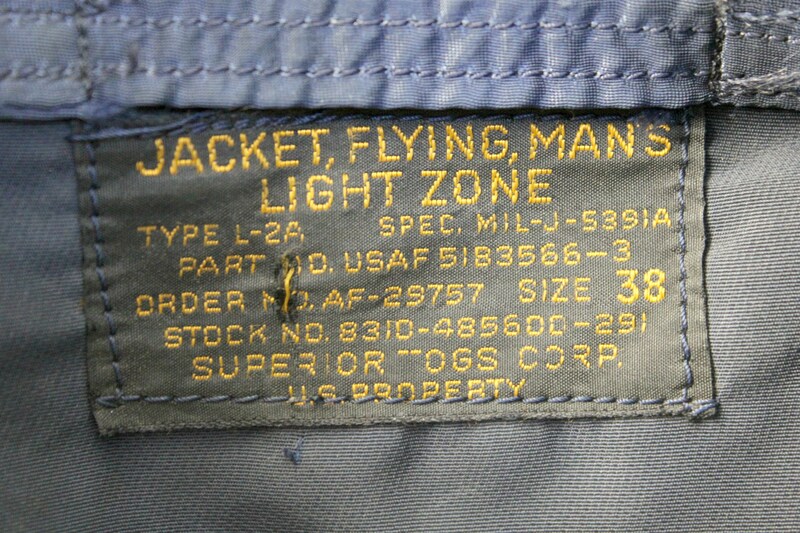 The lightweight flight jacket is made by Superior Togs Corp. Completely original down to the Conmar zipper pulls. This is definitely a dark BLUE and not greenish as it may appear in the pictures. 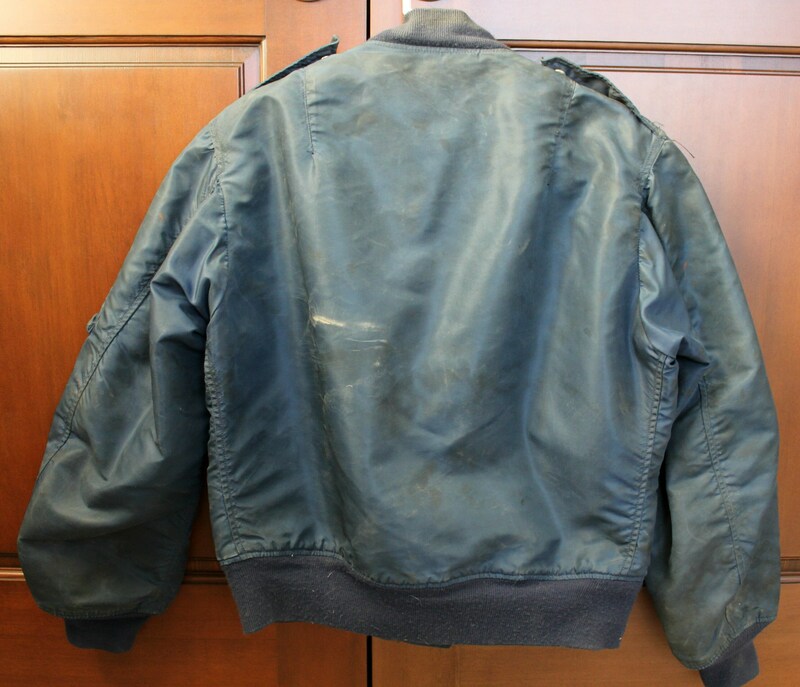 Armpit to armpit across front - 22"
Shoulder width across back - 19"
Length from base of neck to bottom of cuff - 24.5"
Condition: The main issue with this vintage jacket is it is badly soiled and needs to be dry cleaned. 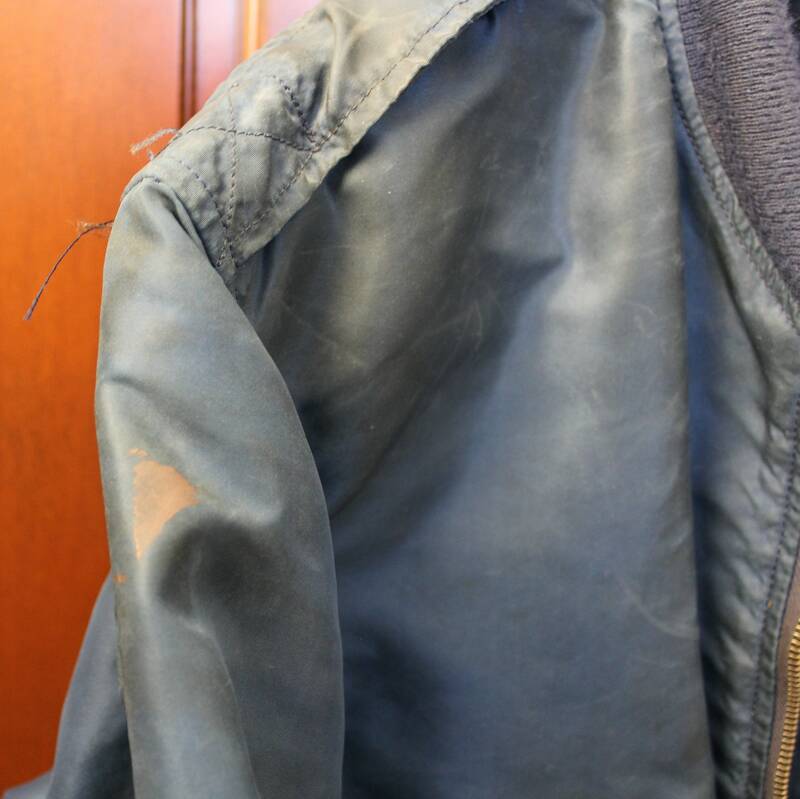 There are stains, discolorations and general dirt on the jacket. 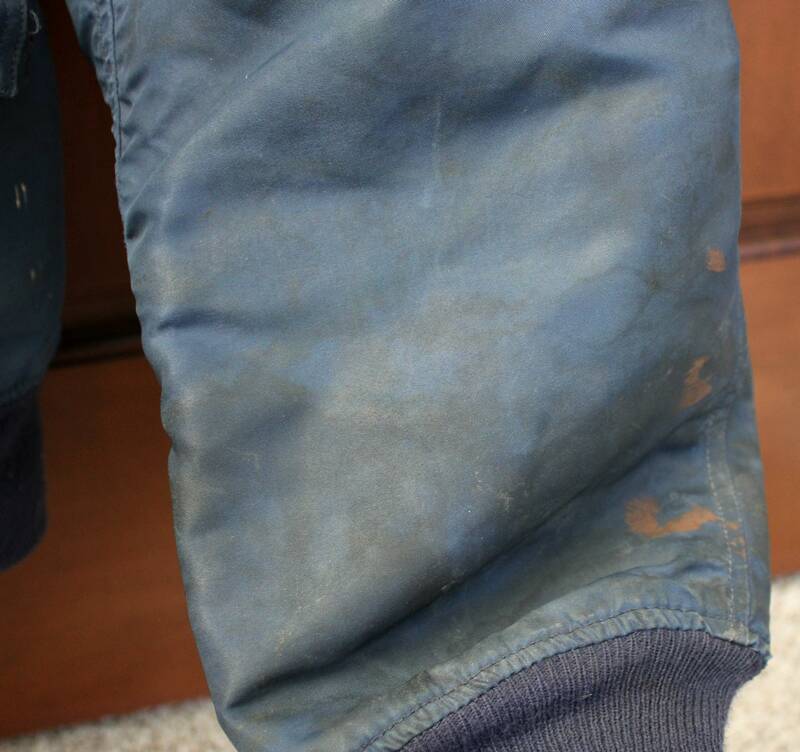 There are also two small holes, seen in the 6th photo, one on the sleeve and one on the front. 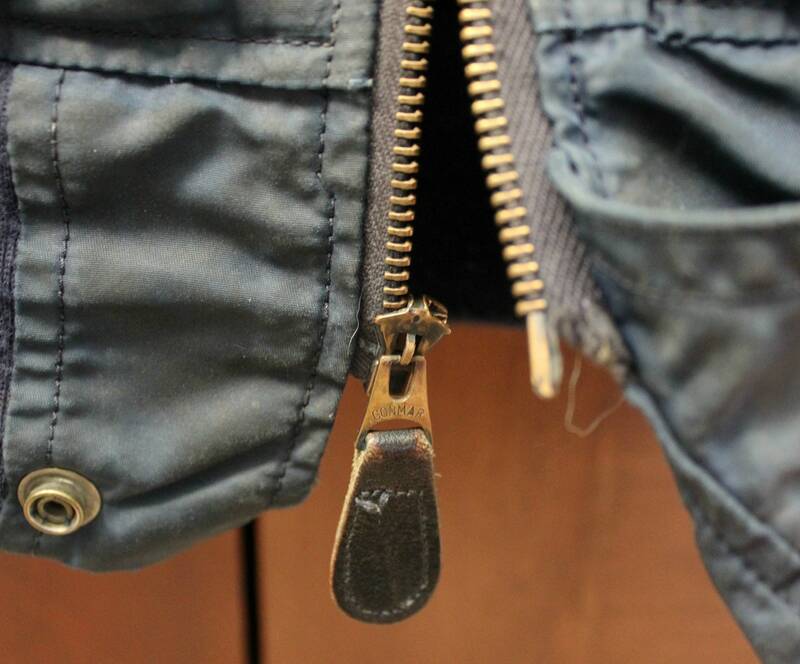 Zippers all work, although the main zipper has a tear as can be seen in the 7th photo. 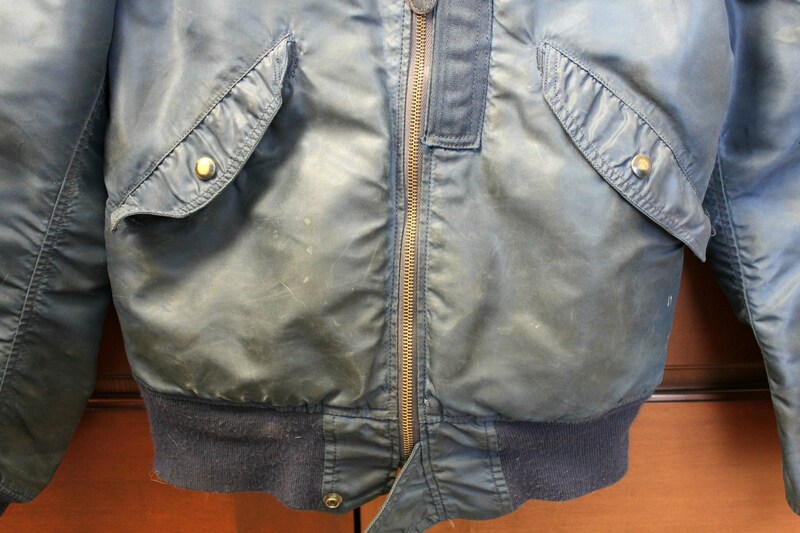 The lining is dirty also, but is in good shape with no holes. 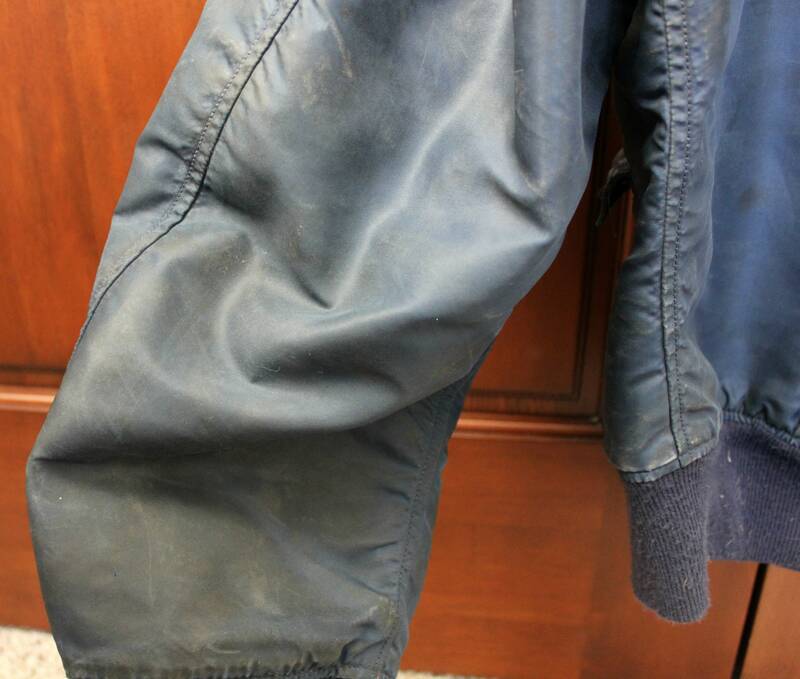 The knit cuffs show some normal wear but are also in good shape otherwise. This is definitely a dark BLUE and not greenish as it may appear in the pictures. 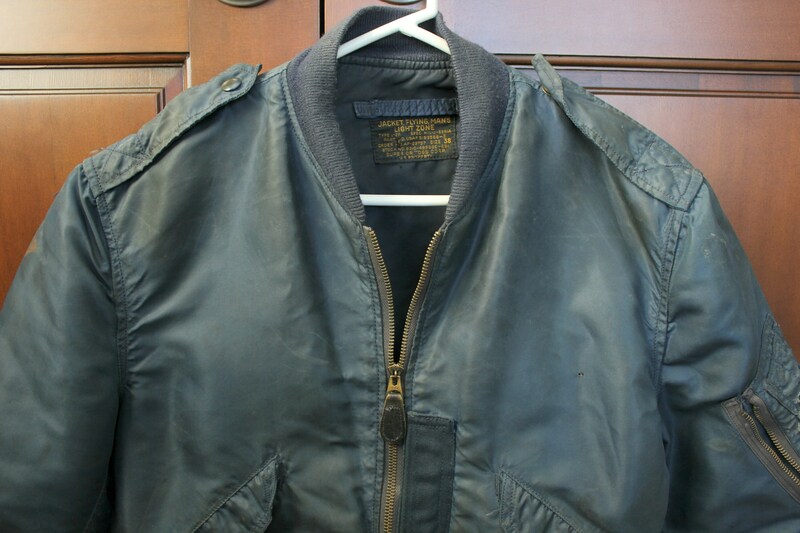 Please see all 10 photos of this rare Air Force military jacket.